Short films have been a means of artistic protest, says ZAKIR HOSSAIN RAJU. It was a fine morning in the last week of December last year. A small crowd gathered in front of Dhaka Art Centre, the newly established art venue in Dhanmondi. The crowd came together to celebrate the silver jubilee of Bangladesh Short Film Forum. This key body for alternative filmmakers was formed in August 1986. Morshedul Islam, Tanvir Mokammel, Tareque Masud and Enayet Karim Babul were among the frontrunners who established this 'forum' 25 years back. On that morning, the last two were of course not there, Tareque has left for eternity while Babul is in self-exile in Canada for many years now. Morshedul and Tanvir and some of us (including Manzare Hassin Murad and Zahidur Rahim Anjan) elaborated this journey of Forum, as well as the values that brought them together. One issue that came out of the speakers, especially of Morshedul, Mokammel and Murad, is that they are still 'short' filmmakers, though by now they have made a number of 'long' films that brought them accolades from around the world. People still identify them as short filmmakers and more importantly, certain kind of films as 'short films'. What is 'short film' in Bangladeshi context and why is it considered as a form of independent or art cinema here -- I will explore these questions in this piece. No doubt, the term 'short film' earned a localised connotation in the Bangladesh of 1980's-90s'. First, I will make an attempt to answer what and why of this term. The 'short film' discourse consists of mainly short features and documentaries on 16 mm and video, produced in an artisanal mode with low budget outside the popular film production system. These were shown outside cinema theatres: among friends, local groups, and especially among the college students and cultural activists. The director of the film, sometimes with the support of friends and family, coordinated the writing, producing, distributing and exhibiting the short films. In the mid-1990's when the discourse of short film started to produce feature films, the proponents of the discourse in search of a more proper term attempted to rename the short films as 'free-length' and/or 'alternative cinema'. Interestingly, many such feature-length films made in the late 1990's and early 2000's were also termed as 'short films' by the audiences here. For them these are also 'short films' because in their eyes, these films too, belong to the same textual and institutional parameters. Some 28 years back, two short features on the expectations and preparations of 1971 liberation war: Agami (Towards, 1984) by Morshedul Islam and Hulyia (Wanted, 1985) by Tanvir Mokammel started what later has been called 'short film movement' in Bangladesh. Each of these films was of 30-minute duration and made on 16 mm. These characteristics became common to most short films made in the next two decades or so. A number of short fiction films of around half-an-hour duration and on 16 mm or (in some cases, on video) got produced and exhibited in the first decade, a period when the short film genre gained a viable identity as a form of independent cinema in Bangladesh. Tareque Masud's Chain of Gold (1986) and Adam Surat (1989), Enayet Karim Babul's Chakki (1986), Morshedul Islam's Shuchona (1988), Abu Sayeed's Aborton (1989), Alamgir Kabir's Monikanchan (1989), Manzare Hassin and others' One Day in Krishnonogor (1989) and this author's Michiler Mukh (1990) were made during this period. In 1988, Bangladesh Short Film Forum also hosted the First Dhaka International Short Film Festival, the first of its kind in Bangladesh. Late Alamgir Kabir led this festival and even after his tragic death in a road accident in 1989, kept inspiring dozens of 'short' filmmakers. Why did all these people come forward to make short films in this period? Primarily, they were protesting the pro-capital turn of the film medium. 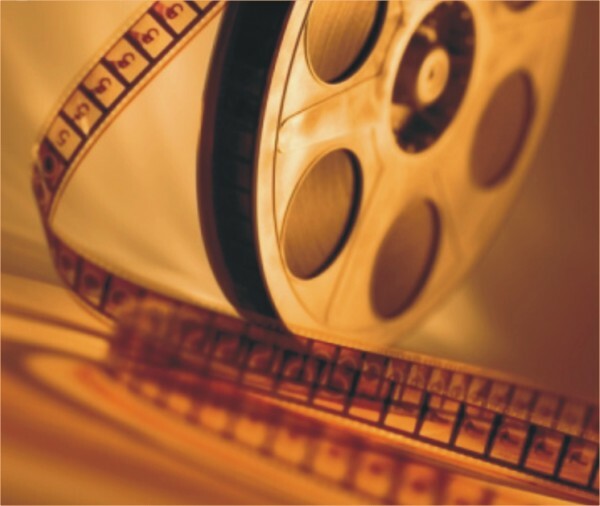 Cinema or film, unlike other mass medium or cultural form, is not only an informational or artistic medium; throughout the early part of the 20th century, it has been turned into a major entertainment industry. As many other industries, film industry also produce standardised, run-on-the-mill products (that is, popular fiction films) that can reach the masses. The production, distribution and exhibition of films then have been put together in such a way that it maximises the profit of the business people and the capitalists. This is true not only in Bangladesh, but in most of the countries around the world. The short filmmakers of the 1980's-90's wished to earn their freedom on screen. They wanted to tell something on screen in their own voices, using their own syntax, and going beyond or against the commercial expectations that burden most films made in Bangladesh or in the world. They learnt this notion of artistic freedom from European, South Asian and American film classics as all of them were engrossed in watching these art films in the film societies in 1970's-80's Dhaka. In that informal setting, they watched and discussed independently produced art films from Europe, the US and India before they embarked on making their own films. Therefore the short films of the 1980's-90's followed the filmmaking pattern as well as textual forms of these foreign cinema, especially of Indian art cinema and Italian Neo-realism. Interestingly, using these 'western' textual norms, the short films and videos criticised the pro-Islam move of Bangladesh State in the 1980's-90's. Therefore the 1971 liberation war and its cultural-nationalist ideals come as a recurring theme in these films. The first two short films started this trend of cultural-nationalist cinema. Morshedul Islam, in Agami (Towards), narrates the agonies of a freedom-fighter in 1980's Bangladesh using various flashback scenes. He juxtaposes how the freedom fighters let free the captive Razakars (Bengali Muslim supporters of Pakistani army) during 1971 war and how the Razakars punished freedom fighters in the 1980's. Tanvir Mokammel in his Wanted uses very few dialogues and many long shots to show the return of a political prisoner to his village in late-1960's East Pakistan. While re-organising the underground leftist groups on the eve of Bangladesh liberation war, he has to flee his village in order to escape from police raid. Morshedul Islam's The Beginning (Suchona, 1988) and The Rain (Bristi, 1999), and Abu Sayeed's Dhushar Jatra (The Journey, 1992) continued rewriting the history of Bangladesh liberation war while other young filmmakers also joined in the process. These short films were not only auteur films in a textual sense, the institutional aspects ranging from production to circulation of these films are also centred on a single individual, that is the director of the film. Generally, the director and/or his family and friends manage the production, distribution and exhibition of short films. For these characteristics, the Masud duo who produced and distributed a number of short films in contemporary Bangladesh term their work as a 'cottage industry'1. Most of these films are produced with the fund provided by the directors themselves or their families and friends. Independent shorts like The Wanted (Huliya, 1984) by Tanvir Mokammel and The Chapter (Adhyai, 1997) by Akram Khan and feature-length documentary Song of Freedom (Muktir Gaan, 1995) of Tareque and Catherine Masud were directly funded by the parents of the directors themselves. Morshedul Islam's Towards (Agami, 1984) and The Wheel (Chaka, 1993) were funded by his friends. A few short films received grants from international grant-making agencies or sponsorship of foreign cultural missions based in Dhaka. Two documentaries of this writer, Beyond the Borders (Beyond the Borders, 1995) and Images Under the Shadows (Chayasrito, 1996) received grants from the Japan Foundation and EMW, Germany respectively. The Goethe Institut in Dhaka also sponsored a number of documentary film projects such as Dhaka Tokai (Dhaka Tokai, 1986), Dhaka Rickshaw (Dhaka Rickshaw, 1986) and One Day in Krishnanagar (Krishnanagare Ekdin, 1989). 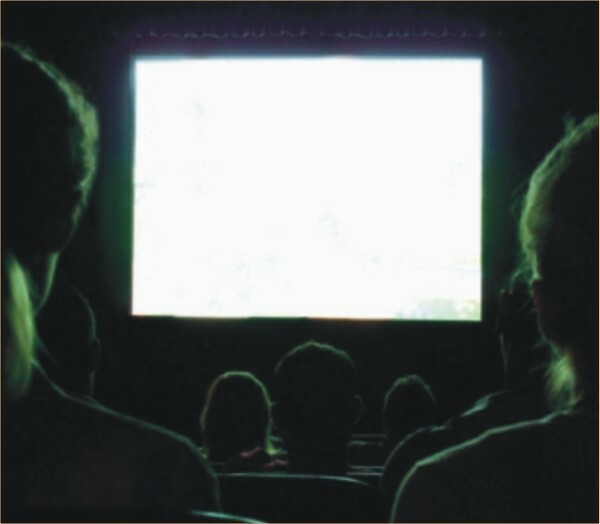 In an effort to go against the profit-making motives of cinema halls, the short films were and are only shown in 'non-commercial' venues such as auditoriums of social and educational institutions based in the big cities. The Public library auditorium in Dhaka has become a central location to screen short films. The basis of this alternative exhibition network is of course the film societies and different cultural, student and youth organisations in the cities and district headquarters. Two of the earliest short films, Towards and Wanted were shown in the mid-1980's in almost all the district towns roping up these organisations. In the same way, during 2010-11, Tareque Masud also attempted to reach most districts and smaller towns with his film Runway. Bangladesh Short Film Forum (BSFF) is also organising Dhaka International Short Film Festival since 1988 that serves as a showcase for local short films. The eleventh edition of this festival was held in March 2010. Another important 'non-profit' venue for short films are international film festivals around the world. Agami won an award in International Film Festival of India (IFFI) in New Delhi in 1985. Later many other films were shown around the world, including Hawaii, Singapore, Oberhausen and Yamagata film festivals. What is most important is that, since the short films were made on a very low budget, filmmakers could become 'owners' of their own films. This freedom from the clutches of the film-capitalists gave the independent filmmakers more artistic freedom and enabled them to attempt authorial signatures on their films. These kinds of efforts became more visible in the short films from mid-1990's onwards. While the veterans were telling stories using simple and straight-forward narrations, the younger batch of 'short' filmmakers started experimenting with non-linear narratives and exploring personal themes in their short films as if following the textual patterns of European art cinemas of the 1960's. For example, Sarwar Jahan's Not Yet Decided (Not Yet Decided, 1996) deals with multiple identities of a young man in a surrealist manner. Two different actors represent the multiple 'selves' of the same protagonist. Akram Khan's Adhyai, (The Chapter, 1997) using flashbacks and flashforwards but no dialogues, shows the last thoughts and moments of a jailed man going to be hanged soon. As his last wish he bathes in the rain in the meadow in front of the jailhouse. AKM Zakaria's Ity Salma (Yours, Salma; 2001) does not use any live character, it only shows a household just deserted by a married couple where they fought with each other probably for the last time. N. Rashed Chowdhury's Biswaraner Nadi (The River Lethe, 2003) portrays the life and death of a single mother who was left alone by her parents in her childhood and who eventually leaves her daughter alone. The film, with minimum dialogue, a number of flashbacks, long takes and ambient sound of a music box thrown away, shows her mental states when preparing for suicide and how her young girl discovers her mother dead. One can argue that the short film as a cultural discourse in 1980's-2000's Bangladesh served as a counter public-sphere for the secular, modernist, westernised middle class. Even in the digitised time of the 2010's, this form of cinematic protest works as their vehicle, in Habermas' words, 'to generate subcultural counter-publics and counter-institutions, to consolidate new collective identities. 'ii How does this discourse still construct new texts and new identities? A good example is a former short film activist Makbul Chowdhury's efforts in UK. He migrated to UK in 1995. Once settled down in a well-paid profession in London, Makbul bought shooting and editing units in digital video. He set this up in a spare corner in his own home and started working on some short films during the weekends. Eventually, Makbul's Red Flower (2006) -- a 11-minute visual tale of how a rural boy in Bangladesh becomes a man through the age-old, bloody ritual of circumcision -- entered the prestigious Cannes Film Festival's short film section as an entry from Bangladesh. 1. My interview with Tareque and Catherine Masud in Dhaka in February 1998. 2. Jurgen Habermas, Between Facts and Norms: Contributions to a Discourse Theory of Law and Democracy, Trans. William Rehg (Cambridge, Mass., The MIT Press, 1996) 370. Zakir Hossain Raju is Associate Professor in Media and Communication at Independent University, Bangladesh. Currently, vice-president of Bangladesh Short Film Forum, he is an activist of independent cinema movement in Bangladesh since he passed SSC in 1985. He obtained PhD in Cinema Studies from La Trobe University, Melbourne in 2005. He taught at La Trobe and Monash University in Australia as well as at University of Dhaka, Bangladesh. Raju served as a Visiting Scholar at Australian National University, Canberra in 1999 and at University of Malaya, Kuala Lumpur in 2007. He is the author of Bangladesh Cinema and National Identity: In Search of the Modern? (Routledge, forthcoming). He is a reviewer for Asian Journal of Communication (London) and on the editorial board of the journals Bioscope: South Asian Screen Studies (Sage) and Journal of South Asian Film and Media (Intellect).